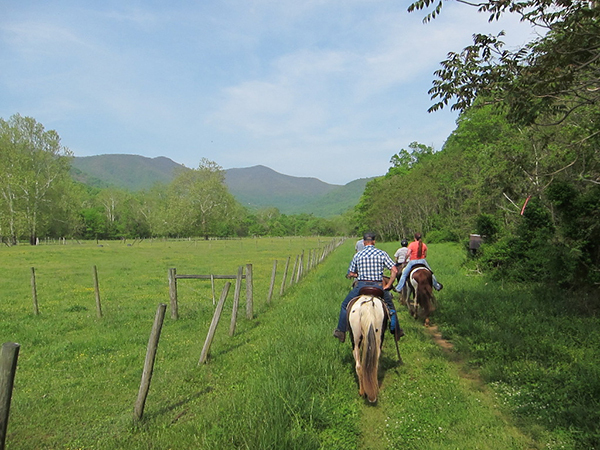 In a partnership with Graves Mountain Lodge, Circle B Stables provides guided horseback riding tours. 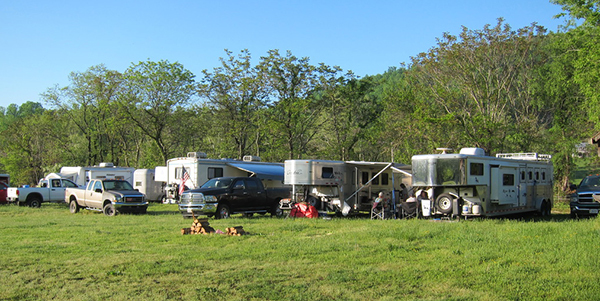 It also offers day parking for persons wanting to trailer their own horses to ride, or in our case, primitive overnight camping for multi-day stays. Portable corrals are warranted as well as potable water. Restrooms are on the premises, however a shower house is located separately further down the road. 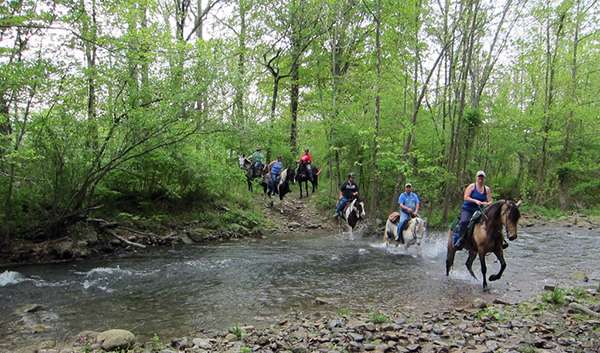 Maps are available depicting a variety of trails available to suit various trail riding. With the recent heavy rains, lots of water was to be had rushing over the several creek beds we crossed. The view found on the trail overlooking the Graves Mountain Lodge area was spectacular. 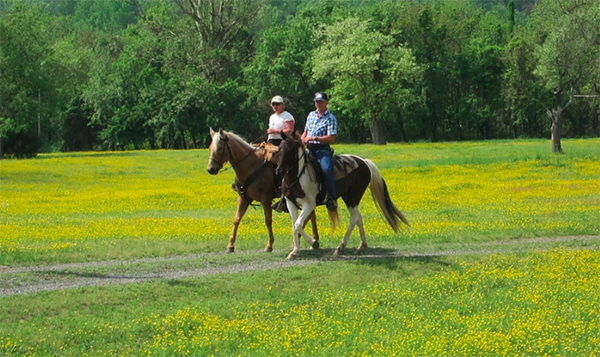 Riding through large fields of yellow buttercups was picturesque. 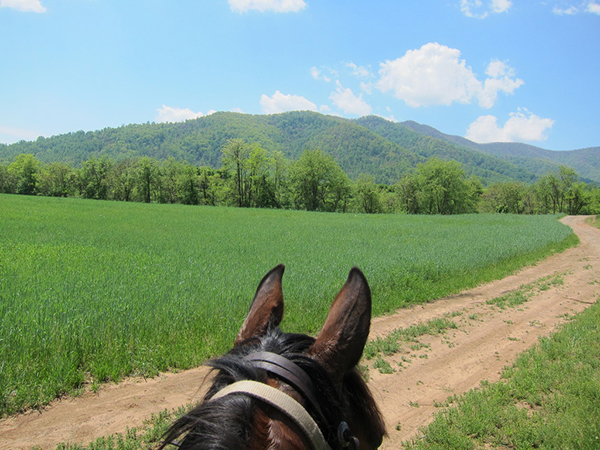 Keeping in mind that this is a large working farm, we also rode along fields of rye and along fencelines which contained longhorned cattle with beautiful views of the mountains in the background. 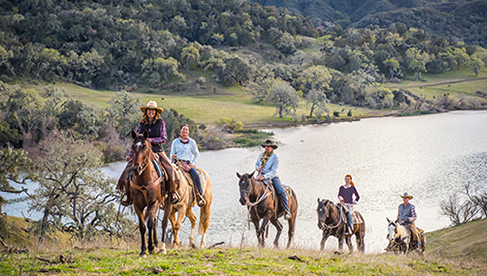 After spending a few days out in the mountain air and horseback riding, appetites are large and potluck family style meals with fresh off the grill fare are shared by everyone at mealtimes creating a social atmosphere of camaraderie as well as lots of laughter around the night-time campfires. When not riding, the historic town of Madison is about a fifteen-minute drive down the road. 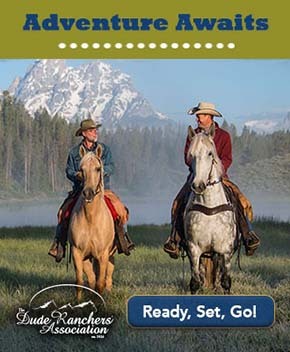 Some must see shopping is Saddlery Liquidators, which offers a large array of tack, boots, and clothing; Plow & Hearth (http://www.plowhearth.com) factory outlet store and regular store; and Yoder's Country Market which offers a variety of fresh baked goods, organic cooking staples and meat. For the kids, there is also a free small petting zoo and play area next to Yoder's Country Market. It is also in close proximity to Skyline Drive and Luray Caverns for additional sightseeing. For further information what the Graves Mountain area has to offer as well as contacct information for Circle B Stables, visit www.virginia.org. 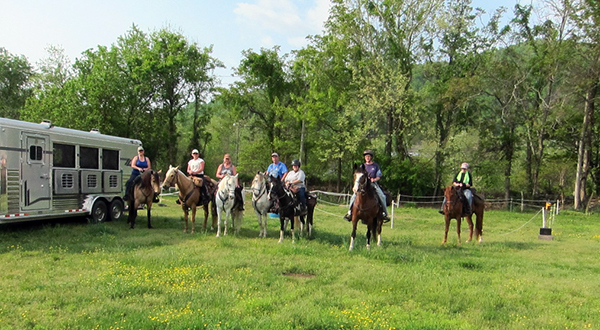 All in all, another great horse camping weekend in the heart of the Blue Ridge Mountains was had by all as seen in the faces of the happy and smiling cowgirls at the end of the trail ride! About the Author: Susan St. Amand is a Board Member of the Shenandoah Trail Riding and Horseman's Association and employed with the Virginia Cooperative Extension as a 4-H Youth Program Assistant. She grew up in Northern Maine with horses on a farm and has been a transplant to Virginia for the past 25 years. 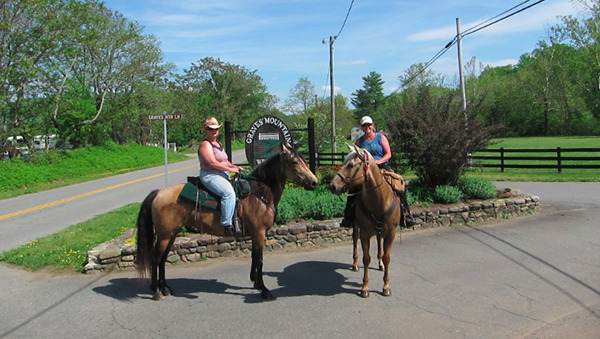 She enjoys planning horse vacations with friends and has currently completed many rides in Maine, Pennsylvania, New York, West Virginia, Tennessee, North Carolina, as well as Virginia, trailering her own horse.